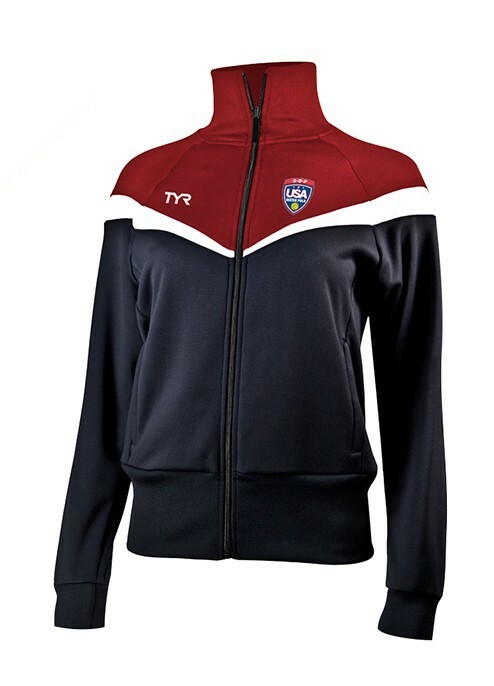 Specifically designed for Olympic Development Program participants, the Women's USA Water Polo ODP Freestyle Warm-Up Jacket showcases 100% Polyester construction for rapid moisture management and accelerated dry time. Elastic sleeves allow for a comfortable fit, while side pocket treatments provide small storage and added warmth. Featuring a full zip front for easy on/easy off action and an elastic waist bottom, the WSEJ2ACH ODP Freestyle Warm-Up Jacket for women is the perfect choice for pool side warmth and training day workouts. 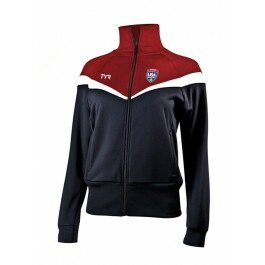 Contrast color blocking on the chest lends style, while a USA Water Polo logo authenticates performance. awesome color and awesome design. awesome color and awesome design. GO USA!!! Comments below apply to your overall products. Item returned as didn't like the color. Have since bought the Alliance warmup jacket from other vendor - love it. Love your quality products. BUT-bought swimsuit recently-seems like you have "shortened" the length? Overall smaller than usual size 36 - old Tyr suit fit good from the get go - it's only 6 mos old. Have you started using less material? And, no, I haven't gained any weight. Customer service at TYR is very helpful. My only thing about my purchase is the emblem on the chest of the item I ordered was not clearly described. Had id Known that it wasnt an Olympic symbol, I would have ordered one without the emblem. Other than that everything went great! Q: How is this different than last years jacket in terms of fit? A: Thank you for your inquiry. 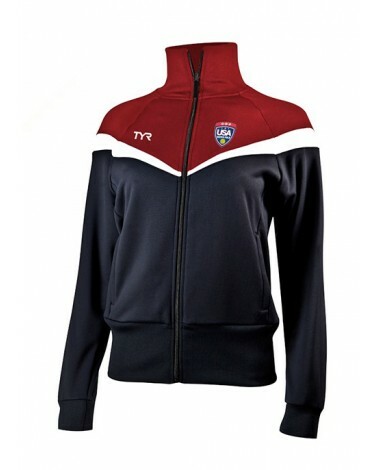 The ODP Warm-Up Jacket follows the same sizing as last year's jacket. Q: Are we required to purchase a new suit and jacket since they are the same as last years? A: Thank you for your inquiry. It is our understanding that returning members that make the team, are required to order all three items. You may want to check with USA Water Polo to be certain. Q: I have a 7th grader boy, whose chest measurement is 32, waist 29, hips 32. Can I order a women's size small or would it look to obvious that it is a women's jacket? A: The cut is fairly gender neutral, so there is minimal difference between the men's and women's styling. Q: Arm length (from pit to wrist) on small? Med? Q: Is there a size chart/measurements for this item?